HARD TO FIND TOWNHOUSE STYLE 2 FAMILY WITH 8 BEDROOMS ~ Perfect as owner occupied with rental income or investment! Both units have 4 bedrooms, oversized windows, high ceilings, hardwood floors throughout owners unit and as much space as a single family! The 1st floor of owners unit has an easy flow living room/kitchen/dining room with pocket doors. Newer custom kitchen boasts stainless steel appliances, quartz countertops and custom lighting as well as a great mudroom and 3/4 bath. 3 good size bedrooms on 2nd floor with updated full bath. 4th bedroom on 3rd floor completes the owners unit! Unit 2 offers a more historical feel with natural wood trim. The 1st floor has an updated kitchen, living room and dining room while the 2nd floor 3 has bedrooms and an updated full bath. A 4th bedroom and added bonus room for extra storage on the 3rd floor rounds out the rental. 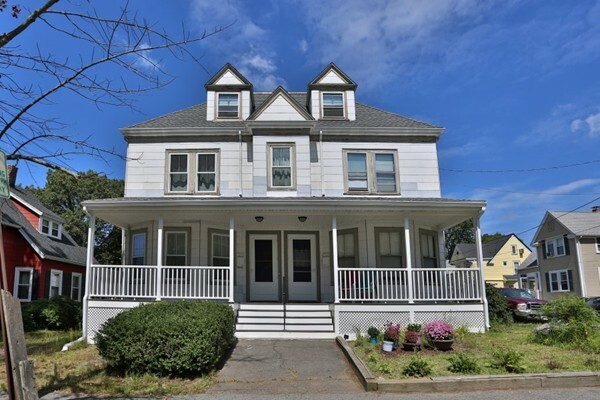 Close to downtown Melrose, on the bus line and convenient to all major highways. New farmers porch/updated electric!